If you like to keep active during your holiday, Whangateau is ideally located right in the middle of a recreational paradise. The fishing here is excellent. Launch your boat at the holiday park, or charter a boat and take your family and friends out to find the best fishing spots. In the local area there are also places for surf-casting or fishing from a wharf, beach or rocks. 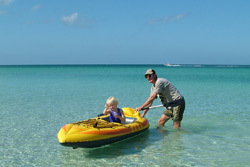 We offer kayak, stand up paddleboard(SUP) and pedal bike hire, on-site childrens playground, recreational room with flat screen TV / computer games, library and WI-FI. 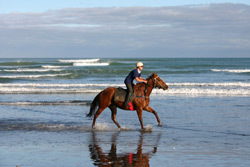 For surfing visit the beaches at Omaha, Leigh and Pakiri. For diving and snorkelling go to Goat Island Bay. Equipment is available for hire at Goat Island Dive or on the beach at Goat Island. 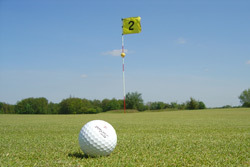 For golf there are excellent courses at Warkworth and Omaha and there is a golf driving range on State Highway 1 on the outskirts of Warkworth that also has cricket and softball bowling and pitching machines; or take the family to mini golf at Omaha. For even more action, try the Military Arts Club for Paintball, Archery and confidence course, horse riding in the country or on the beach. Or try out the water slides at the hot pools at Waiwera. If you like walking, the region has lots of walking tracks that cover all kinds of terrain around the harbour, through native bush and forest, and along the beautiful beaches.